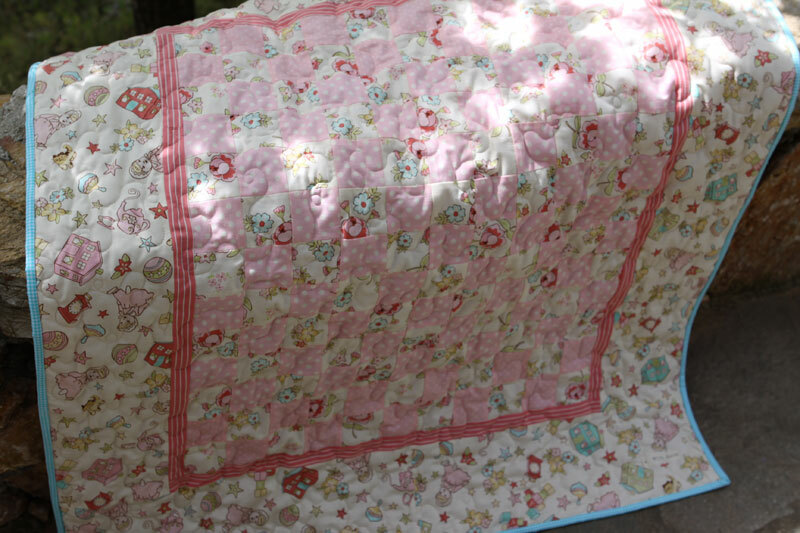 The second baby quilt for the little twin girls is finished. I had shown Here, and Here the progress of this quilt. It was a pleasure for me to work on them, and I hope it will as well be a pleasure for the mother to receve this gift. It's my seventh baby quilt in a few months, and for the time being I don't think that any baby is expected in my surrounding, so that I can think of a new project with other kinds of fabrics… Hum… thinking twice about this, it may be wiser to finish some tops stored in my closet for too long! 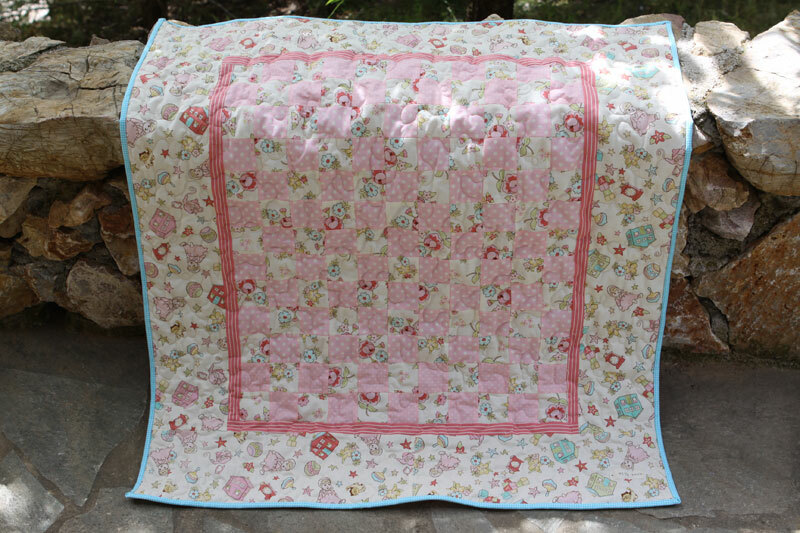 Very pretty quilt!! I know the Mother of the twins will love them! How kind and generous you are to make these wonderful gifts! Look forward to seeing your next project! 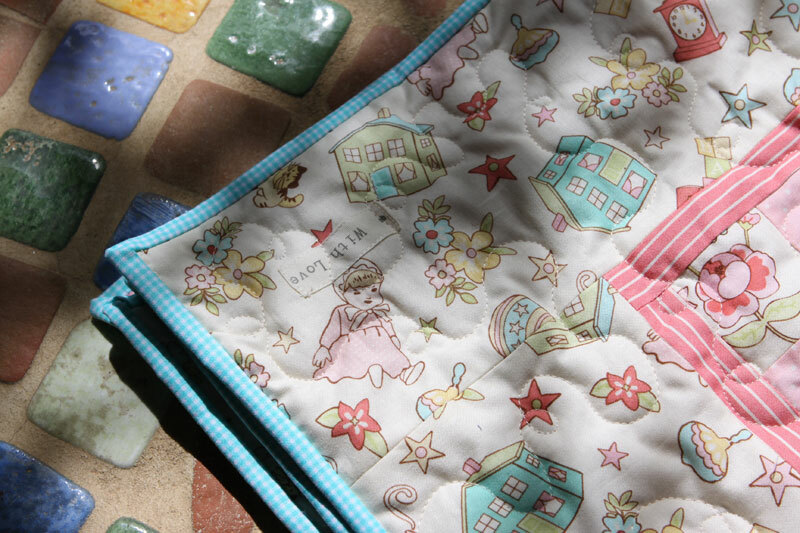 The quilt is lovely Christine, such pretty delicate fabrics. I really like that striped inner border! 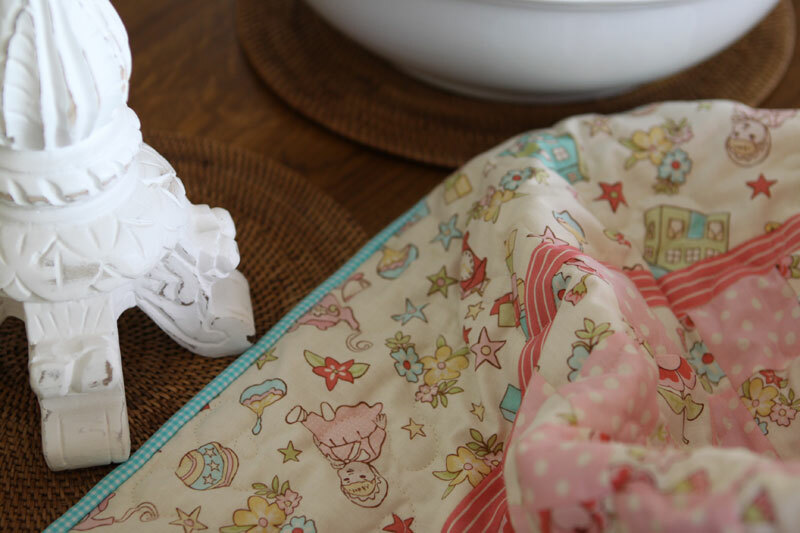 How sweet Visiting from WIP Wednesday, Hope you stop by and enter my giveaway. 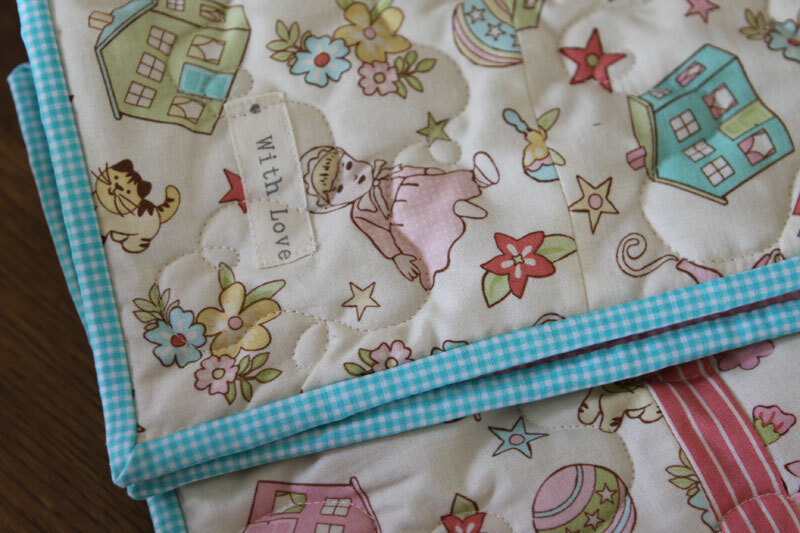 Such a sweet quilt with soft loopy quilting! Love your use of the stripes for the inner border, Christine. And that blue checked binding is perfect. What a sweet finish! Looking forward to seeing some more finishes coming out of your closet! ©2013-2015 All contents of this blog are the property of Christine Feldstein and cannot be reproduced in any way without prior written consent.